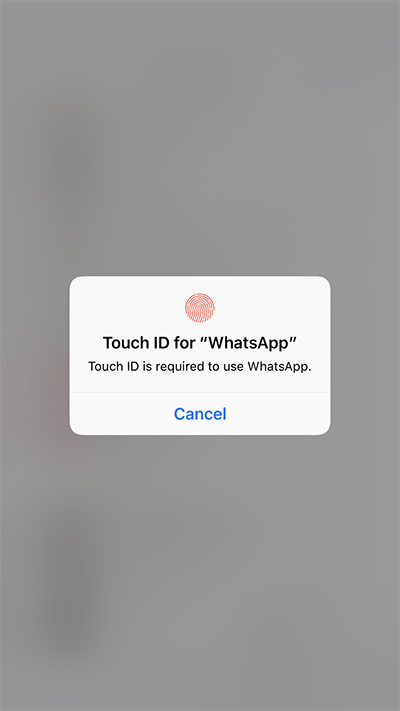 WhatsApp introduces the new feature on Feb 4 you can unlock the WhatsApp app with your Touch ID or Face ID in iOS devices. 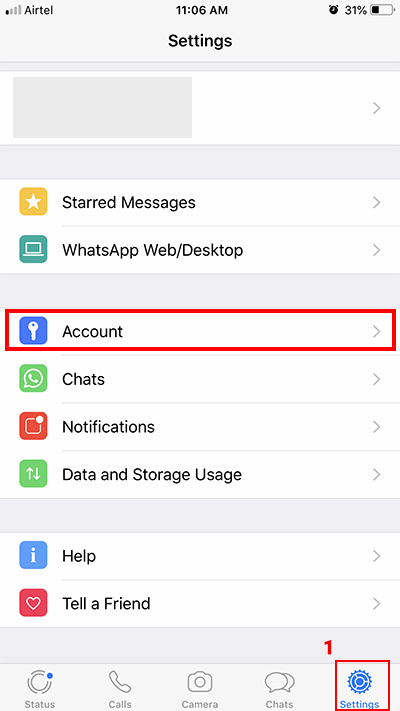 WhatsApp includes the new feature to lock your WhatsApp app when you come out the app. It will protect your app and chat conversation from others. Without your permission, no one can open your Whatsapp on your phone. 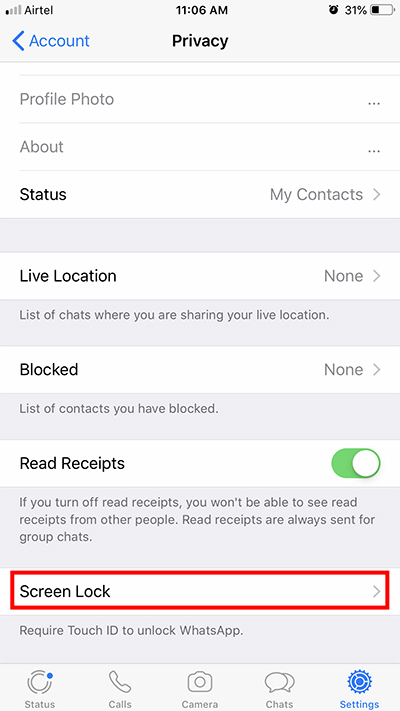 How to enable this new feature in your WhatsApp app in your iOS. First, go to the app store and update the WhatsApp. Check you install the latest version of WhatsApp app on your mobile phone. After update opens the app and taps the Setting -> Account -> Privacy Scroll down to the bottom of the page you can see the option lock the screen. Just tap the Screen Lock option now you can see the Required Touch ID option just tap the toggle option to enable the Screen lock. 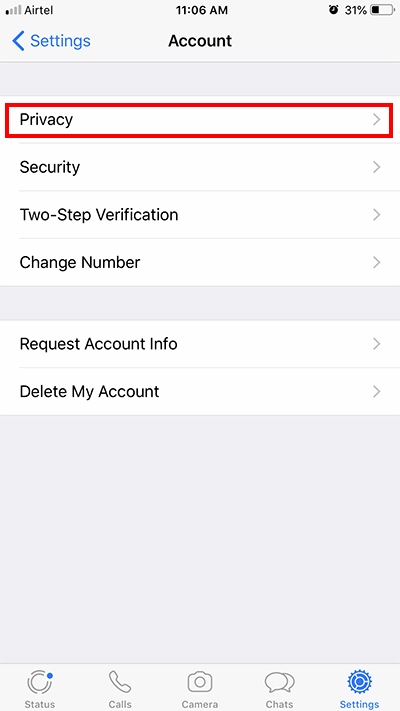 After enabling the Required Touch ID it will ask how much time wait to ask again your id to open the screen. Just select your preferred option. 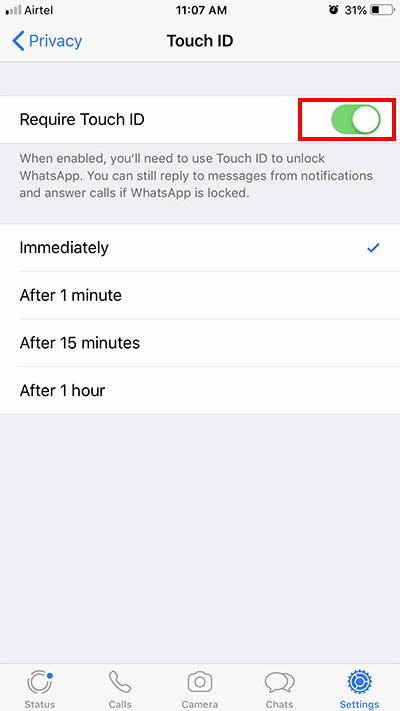 Now WhatsApp Lock Screen option enables in your app.